This is part 2 of the most recent James Inman saga. Doug butters road musician Mishka Shubaly up to be on a podcast where James Inman is waiting in the wings to confront the monster that had him banned from Twitter. 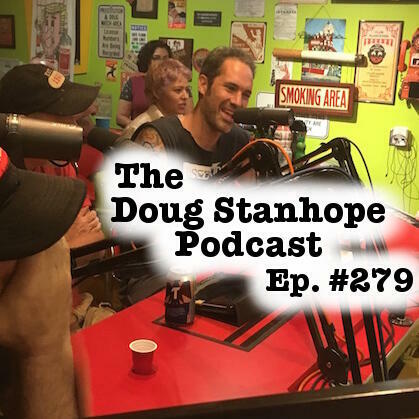 Recorded Sep. 21st, 2018 at the FunHouse in Bisbee, AZ with Doug Stanhope (@DougStanhope), James Inman (@jamesinman), Mishka Shubaly (@MishkaShubaly), Mat Becker (@houdini357), Chad Shank (@HDFatty), and Ggreg Chaille (@gregchaille). Produced & Edited by Chaille. DollarShaveClub.com - Head over to DollarShaveClub.com/STANHOPE. to pick your own DSC Starter Set for just $5. After your starter set, products ship at regular price.